This International Women’s Day, we’re championing a selection of extraordinary women whose stories are often left untold. 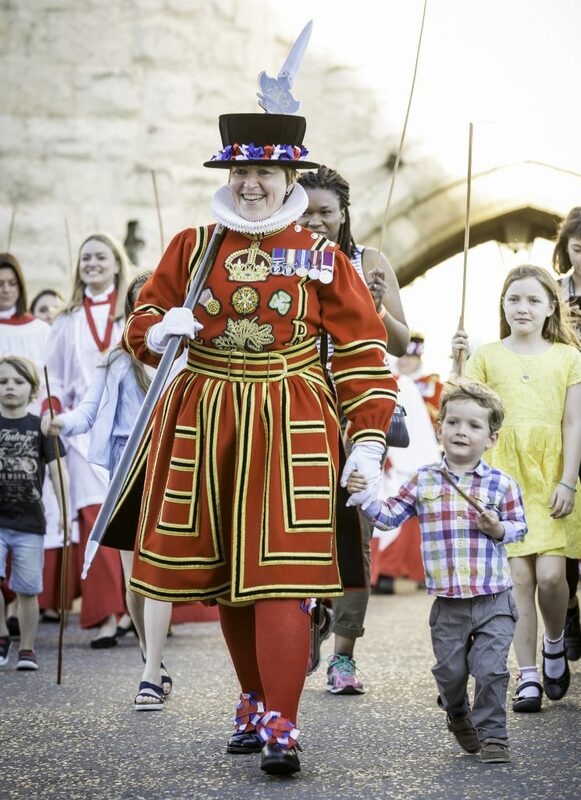 From plotting daring escapes and running a successful chocolate business, to working as a skilled blacksmith and becoming the first female Yeoman Warder at the Tower of London, read on as our curators tell the stories of these inspirational women’s lives. Few characters in the long history of the Tower of London can match the courage and determination of Winifred Herbert, Lady Nithsdale. In 1716 she was the mastermind behind one of the most extraordinary and brazen escapes the Tower has ever seen. When her husband the Earl of Nithsdale was arrested, imprisoned in the Tower and sentenced to death for his part in the 1715 Jacobite rising Lady Nithsdale sprang into action. Having first ridden to London on horseback through waist-deep snow after the stage coaches were cancelled she put all of her energy into petitioning George I to spare her husband’s life (on one occasion she desperately clutched at the king’s robes forcing him to drag her to the end of the room). 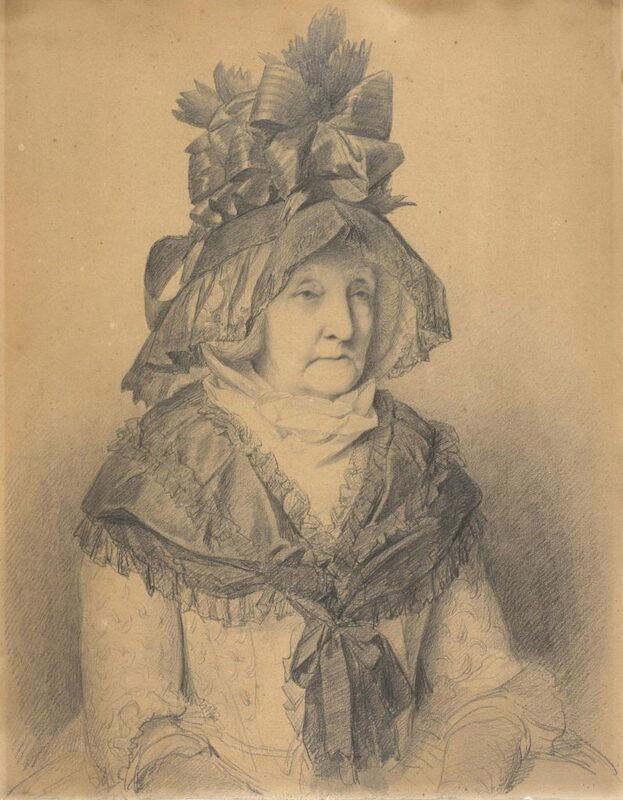 When petitions failed Lady Nithsdale recruited three friends – Cecilia Evans, Mrs Mills, and Mrs Morgan – to help her put her daring escape plan into action. They managed to smuggle a dress, hood and make-up into the Earl’s cell and, having confused the guards with frequent comings and goings, succeeded in sneaking him out dressed as a maid. After the escape, the Earl made his way to the continent where he lived safely for another 28 years. Lady Nithsdale first travelled back to the family home in Scotland in order to settle their affairs and then joined her husband in exile. Her bravery won her celebrity status in her own day and spawned numerous novels and plays, but today her name is largely forgotten. It’s only right that on International Women’s Day we remember her incredible story. Grace was the wife of Thomas Tosier, George I’s chocolate maker. She was known for wearing a “large brimmed hat”, her gloves and for having “flowers in her bosom”. Whilst her husband was at court making chocolate for the King, she ran their successful chocolate house in Greenwich. It became the Georgian equivalent of a celebrity hotspot. It attracted royalty, including Frederick Prince of Wales, and other aristocratic movers and shakers from across Europe. She even installed a large floor for dancing. One of the reasons why her chocolate house was so popular is because Grace cleverly branded it the royal chocolate house, serving chocolate made by Thomas Tosier, the King’s chocolate maker. Even after Grace re-married at the age of 70 following her husband’s death, she insisted on keeping the name Tosier as it was good for business. 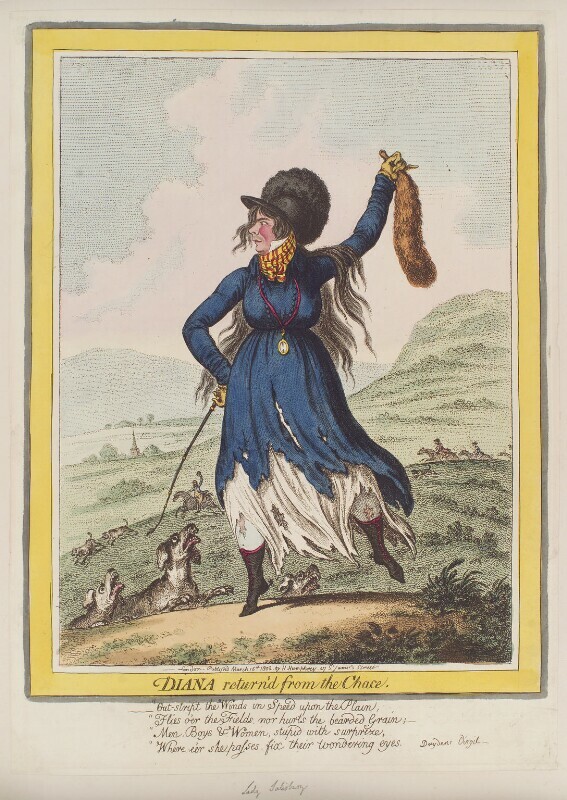 She was clearly famous in her own right; her portrait was part of a printed series of London personalities. 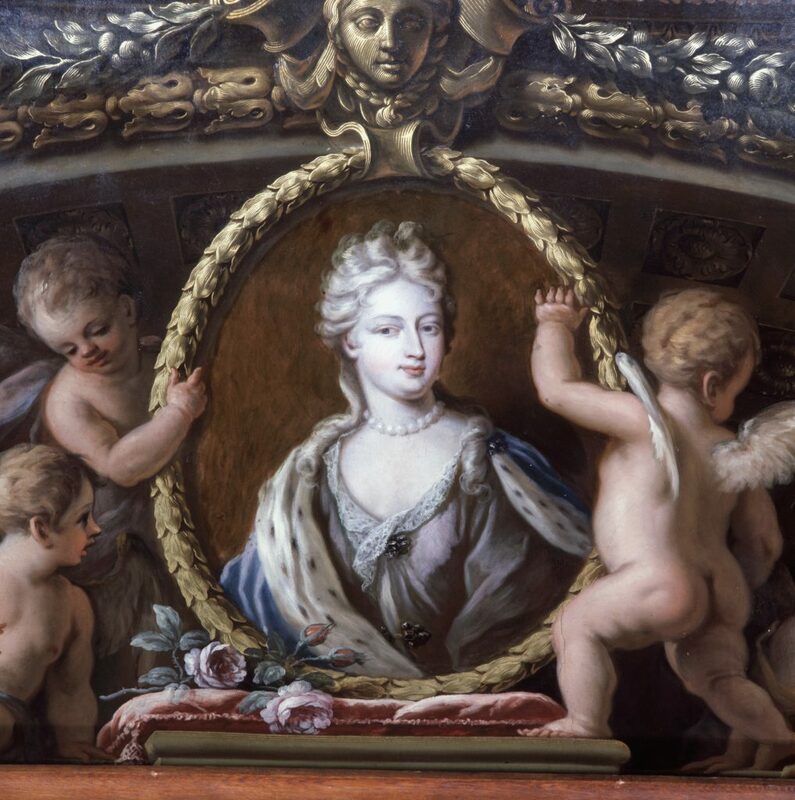 Mary Hartley was one of the skilled artisans responsible for the upkeep of the royal palaces under George III. We don’t know the date of her birth or death, but her name is preserved in the records of the Board of Works, where she was employed as a blacksmith between 1767 and the 1780s. 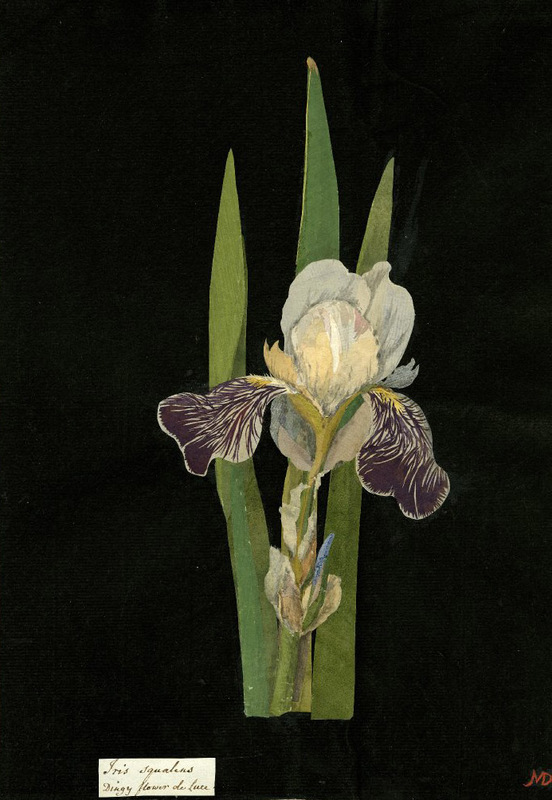 She was responsible for smith’s work at Kew, Richmond and Hampton Court. 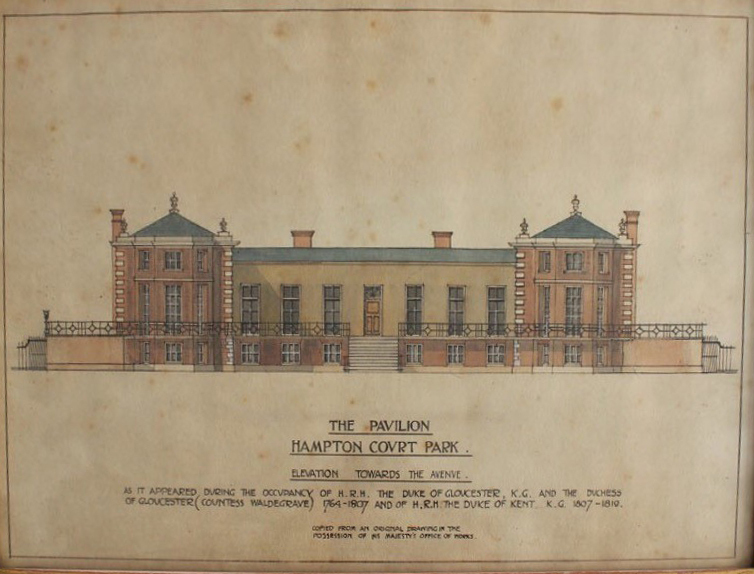 Most of this was unglamorous but necessary – anything from hanging a bell to making a new grate for a cesspool – but in 1778 she had a chance to shine: she and her son-in-law were given the job of making decorative ironwork for one of the bowling green pavilions at Hampton Court. Moira Cameron was appointed the first female Yeoman Warder at the Tower of London in July 2007. Moira’s career with the British army spanned 22 years, the minimum requirement to land a job as a Yeoman Warder. She joined the Women’s Royal Army Corps at the age of 20 and served in many positions in England, Northern Ireland, and Cyprus throughout her 22 year-long career. She worked her way up to Warrant Officer Class 2 and finished as a Superintendent Clerk in 145 Brigade in Aldershot, gaining a medal for long service and good conduct along the way. Moira is a part of living history and her decisive achievement sends out a message to millions of modern young women around the world. Anything is possible. We welcomed our second female Yeoman Warder, Amanda Clark in March 2017. 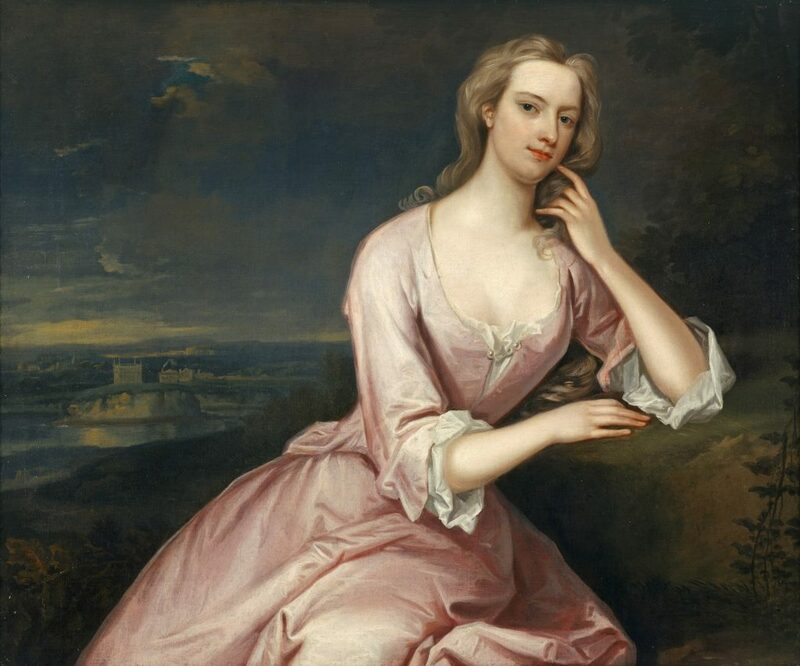 Queen Caroline had a warm, friendly, un-princessy personality, complaining about bores and hobnobbing with intellectuals whenever she could escape from drawing room duties. She had to meditate in the epic row between her two pet philosophers, Isaac Newton and Gottfried Liebniz about which of them had discovered calculus. She was also interested in radical religion, art and science, and was one of the first westerners to have her children inoculated against smallpox. She was far brighter than her husband George II and remarkably, for a foreign woman, was able to exert influence over politicians. She was known for her extraordinary sense of humour. For many years, she endured the pain of a section of bowel protruding outside her stomach. In 1737, the pain became too severe, and she finally conceded to seeing doctors. Instead of repairing the bowel, they cut off the protruding part irrevocable damaging her digestive tract. She died ten days later. During daily operations in her dying days, she teased her surgeon, Dr Ranby, telling him to imagine instead that he was cutting up his cross old wife whom he hated, and once, when an assistant’s wig caught fire from a candle burning in darkened bedchamber, the operation had to stop while the Queen laughed. 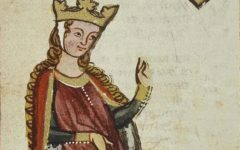 The life of Joan of the Tower is emblematic of the unenviable and challenging roles so many medieval royal women had to play. She was born at the Tower of London (hence her epithet) in 1321, the eldest daughter of Edward II and Isabella of France and sister to Edward III. 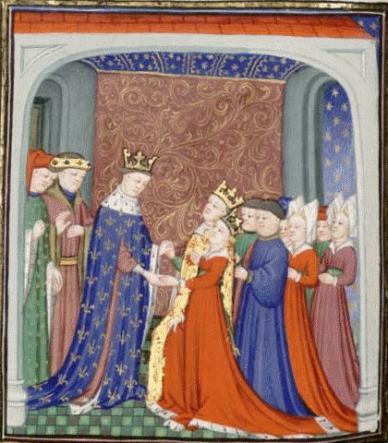 In 1328, Joan was married to the future David II of Scotland as part of a peace treaty between the two nations. Peace did not last long. David II made a failed attempt to invade England in 1346 and was captured at the Battle of Neville’s Cross. He was imprisoned for 10 years including a spell at the Tower of London, where she was allowed to visit him. David returned to Scotland after his release but Joan chose not to follow her King and took the brave decision to remain in England. She was no doubt tired of that particular game of thrones. In England, she nursed her dying mother. In 1362, just four years after her mother’s death, Joan also died. She chose to be buried next to her mother, yet another woman whose life was determined by peace treaties and who later chose not to follow her husband’s wishes. Lady Emily Mary was born in Dublin in 1750 and was the eldest daughter of Wills Hill, 1st Marquess of Downshire, who built Hillsborough Castle. At the age of 23 she married James Cecil, Viscount Cranbourne. Her great-granddaughter would later write that her ‘marked ability and still more marked energy of character’ rescued the family from a ‘destitution of talent’. She became a successful political hostess for the North and later the Pitt administration and was the rival of Whig socialite, the Duchess of Devonshire. She was known for being ambitious, irreverent and witty. During the 1784 Westminster Election she was one of the highest ranking ladies to canvass for votes. When her husband was raised to Marquess of Salisbury in 1789, it was generally thought that the Prime Minister was really rewarding Lady Emily for supporting his cause. Although she was physically slight, Lady Salisbury was famous for her boundless energy, which showed no signs of waning in her later years. She hunted until she was 78 years old, when her eyesight and failing strength required her to be tied into her saddle and led by a groom. Sadly, Lady Salisbury’s life came to a dramatic end in a fire that burnt down the West Wing of Hatfield House. It is thought that the blaze started when a candle ignited her wig. Bess was a member of the privy chamber of Queen Elizabeth I but risked her position by marrying the charismatic court favourite, poet and explorer Sir Walter Raleigh without permission. 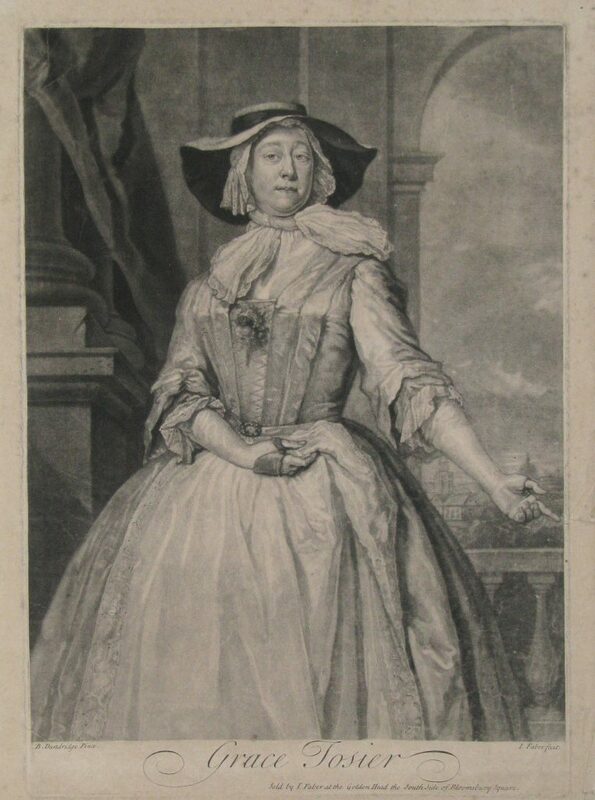 Imprisoned for upsetting the Queen with their secret marriage, Bess proved herself to be a powerful and politically savvy woman in her own right by using her connections and resilience in the face of disgrace and personal tragedy to return to court favour. Bess was the force behind many of her husband’s public achievements and held an unusual amount of responsibility for a woman with little rights in the 17th century. 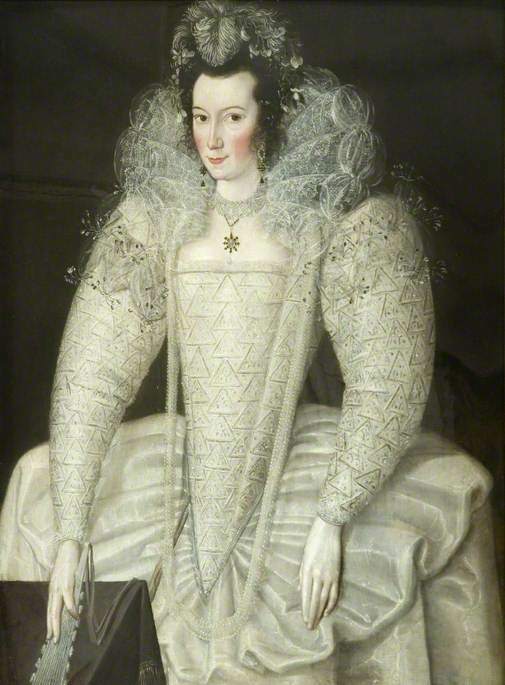 When Raleigh was imprisoned under suspicion of plotting against King James I, Bess used her power and court connections to maintain her position and to protect the family’s estates and wealth while also supporting her husband in prison. For a while her and their son, Watt, stayed at the Tower and their youngest son, Carew, was baptised at the Tower Chapel of St Peter ad Vincula. When told that she could no longer live inside the Tower, Bess took a house nearby in order to stay close by. Throughout this time, Bess campaigned for mercy on her husband, whose fate was unclear, and to ensure a stable future for herself and her one surviving child. Daphne Ford created the most extensive archaeological record of Hampton Court Palace ever made. After originally training as a theatre designer, then an archaeological draughtswoman, Ford spent more than 20 years between 1973 and 1996 compiling an exhaustive record of the building. By undertaking a minute examination of the brickwork, Ford was able to identify and date every type of brick used in the construction of the palace from the pre-Wolsey era to the present day. 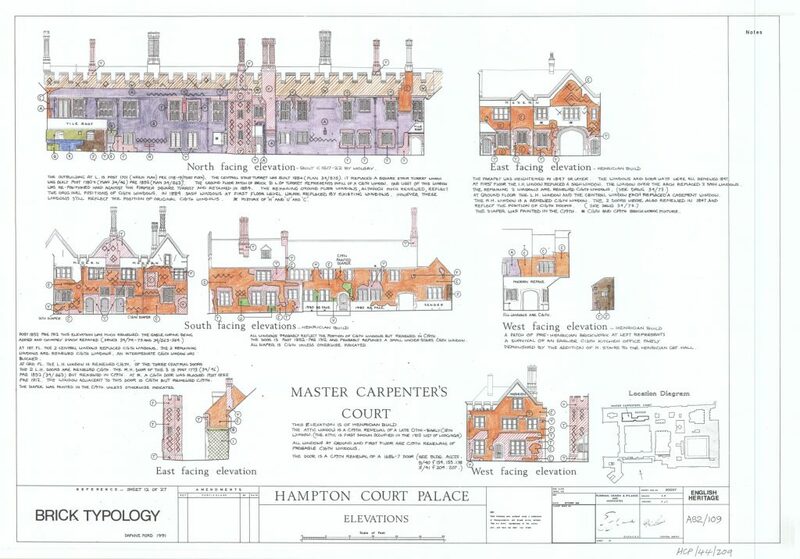 Her corresponding drawings, which are now kept in HRP’s archives, are still used by curators today to help them work out the exact age of different parts of the palace. 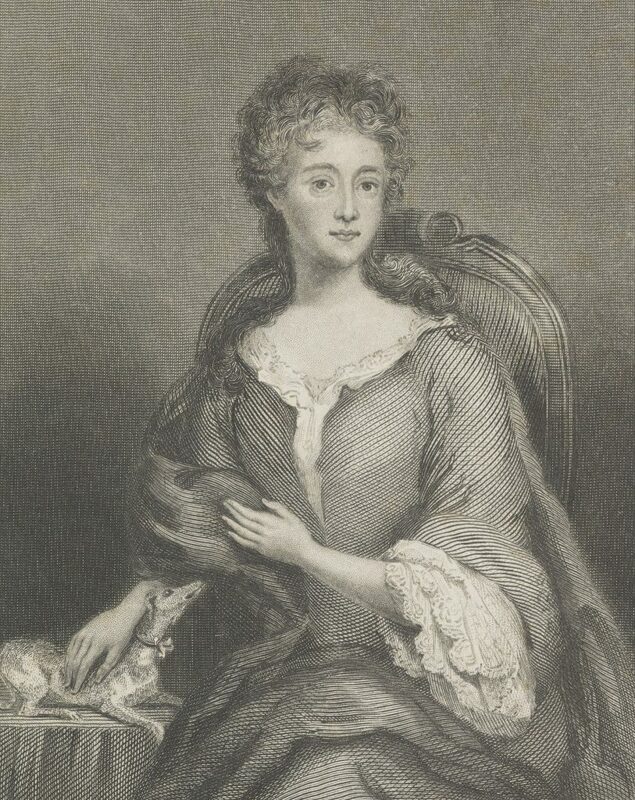 Henrietta Howard was the long-term (and long-suffering) mistress of George II. Described by Alexander Pope as ‘a woman, witty and wise’, she was one of the greatest intellects of the Georgian age. She fought hard for independence in a world dominated by men, ridding herself of her abusive husband and – in the end – her overbearing royal lover. Over a long life, which encompassed two marriages and extended periods of widowhood as well as residence in England and Ireland, Mary, daughter of a minor aristocrat, gained confidence and independence. Allied to a sharp intellect this led to her active engagement in debate with artists, architects, writers, philosophers and scientists. In old age she herself became the artist, creating extraordinary botanical ‘paper-mosaics’ – a perfect collision of art and science. Walk through our Kensington Palace exhibition ‘Diana: Her Fashion Story’ and you’ll see many dresses by Catherine Walker. Walker had an unusual route in to fashion, starting as an academic and writing her doctorate on aesthetics and philosophy. 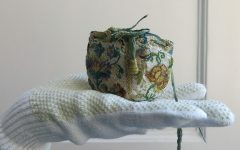 She first sewed children’s clothes on a machine she’d bought when she won a bet to stop smoking. 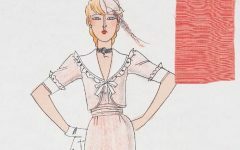 Her intelligence and determination saw her master the art of design and couture technique to become one of London’s leading fashion designers. She put her hard work and meticulous research into making clothes suitable for the Princess’s public role. 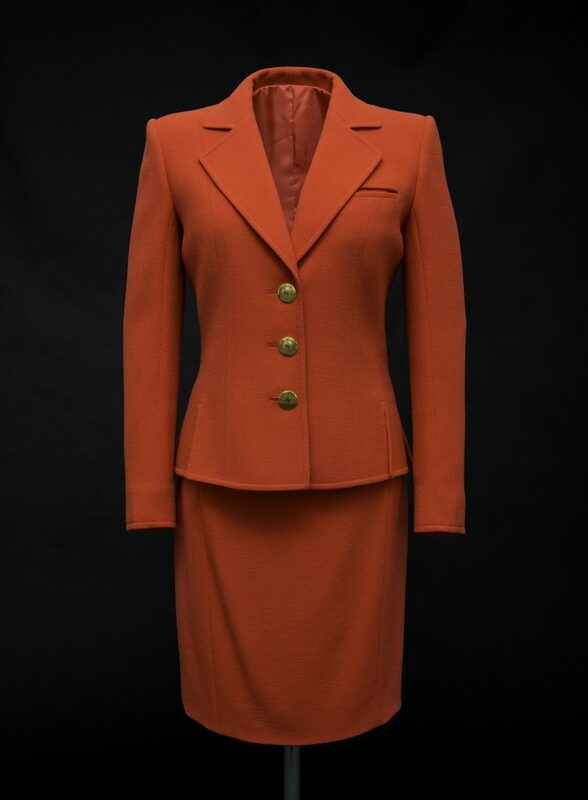 From beautifully designed maternity wear and stunning wardrobes for foreign tours, to the smartest business suits for charity work, she helped define her unforgettable image. Splendour Solis, Germany, 1531. A depiction of women washing clothes in a river and drying them in the sun. 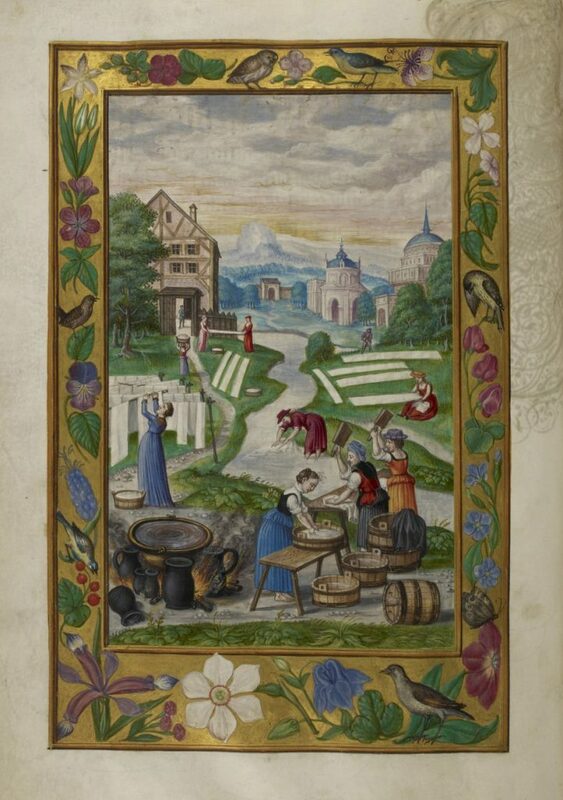 Courtesy of the British Library, Harley 3469 f.32.v. Unlike the vast and impressive Tudor kitchens at Hampton Court, the equally efficient laundry is easier to overlook. It leaves no structural space to explore – as most washing and drying took place outside, close to the river – but its function was essential for a clean and hygienic court. Only one woman worked in Henry VIII’s kitchen (as a confectioner) but the royal laundry seems to have been the preserve of women. Royal laundresses were the only permanent female members of the King’s household. It was clearly a position that required tact and sensitivity as the laundress was directly responsible for washing and pressing the monarch’s underwear. The woman responsible for washing Henry VIII’s undies was one, Anne, or Agnes Harris. She was granted a horse and cart so that she could travel with the court and was well rewarded for her services – in 1546 she was granted the Vine Garden and the Mill Bank at Westminster. From 1936, Grand Duchess Xenia lived in Wilderness House at Hampton Court Palace as a grace-and-favour resident. 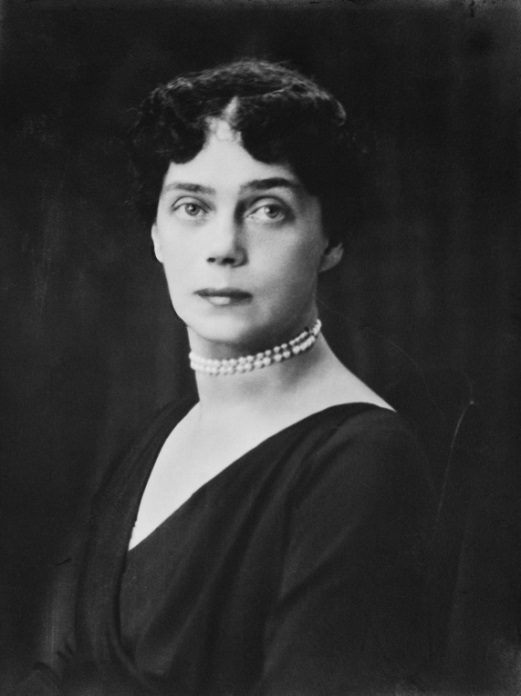 As the sister of Tsar Nicholas II, Xenia was forced to flee the splendour of the Russian Imperial Court with the onset of the 1917 Russian Revolution. Her journey to safety across Europe ended at Hampton Court, where she lived with her fiercely protective companion, Mother Martha. In Britain, Xenia continued her passion for charity work by fundraising for stranded Russian refugees, and she is fondly remembered as a friendly, charming and welcoming Hampton Court resident. You forgot Lady Anne Clifford. She was inspiring in her fight for her inheritance & rebuilding of the 5 castles she finally inherited at age 50.